Registering a business name is a straightforward process. In my case, all I had to do was fill out the online form, hit “Submit,” and pay my filing fee. It was that easy. The hard was part was coming up with the name itself. I’ve worked at several companies, including as an owner, and in that time I’ve learned firsthand about the mistakes one can make in naming a business. Below are my top three. At a previous company, I worked as a content writer. Another contractor and I were brought on before the company was officially registered. The executives who would be running the company opted to leave the naming part to the creative people, so the contractor and I were tasked with coming up with ideas for the new company’s name. I was excited for the challenge, and my fellow contractor and I dove into our creative process head first. We threw around our initial thoughts and ideas about the direction we wanted for the company name. We graduated to throwing out actual suggestions, some straightforward and others on the more whimsical end of the spectrum. We researched word meanings and origins, we got ideas and inspiration by imagining what our competitors had in mind when they chose their names, and we had fun playing word association games to capture our greatest ideas and eliminate our worst. Over the next several days we had a pattern of brainstorm, think, talk, and repeat. Together, we came up with some great ideas that neither of us would have thought up on our own. It might sound like all fun and games. And if I’m being honest, for the most part it was. This is the kind of assignment us creative-types live for. But once the two of us had trimmed the fat and pared our list down to a few choice favorites, we made a big mistake: we asked for input from the executives. What we got was exactly what we asked for, but it wasn’t what we needed. Our team of executives, with their newfound creative power that we gave them by inviting their input, all of a sudden wanted to be a major part of the process. We listened to the executives talk over us about their ideas and suggestions. Few had anything to do with our company or industry, and the discussion quickly devolved into our handful of bosses talking about their personal preferences. It might sound pretty harmless now, but at the time it was kind of a nightmare. My teammate and I had been through an entire creative process, and now it was as though none of it mattered. We didn’t have any power over this decision anyway. It was demotivating, especially since this had been one of my first assignments at this company. My teammate and I did our best to tactfully fight any names that were really out there, or try to toughen everyone up when we got hung up on choosing a name that pleased everyone. This is the risk with having too many voices as a part of the naming process. A lot of time was wasted on my part, and too much emphasis was placed on personal preferences and fears about offending anyone. What I learned from the experience was that it’s a better idea to have a few key people involved in the naming process. And those few should be those with the company’s best interests at heart, and not just their own interests. In naming another business later on, what didn’t occur to me was that my co-owners and I all had slightly different ideas about market we planned to target. Two of my business partners had great points about a potential name, but their points were relevant to what they had in mind for the company, and less relevant to what I had in mind. For example, my creative-to-a-fault name ideas would have worked well with the clients I was most excited about working with: the quirky, creative solopreneurs. On the other hand, one of my business partners was more interested in going after large government contracts. As such, he wanted a straightforward name that made an easy acronym. Our third co-owner saved the day by reminding us about this wonderful thing called compromise. Not being able to agree on a company name was a disheartening way to start our business relationship, but it led to us realizing we weren’t completely on the same page about what we wanted for our company. It forced us to take a step back and have an open conversation about it. It allowed us to get on the same page, and to better understand the different perspectives we all brought to the table. There was a reason why we all decided to go into business together, and overcoming this challenge was a great reminder of that. These days, it seems that deciding what to call your company has less to do with finding a great name that suits what you do, and more to do with finding a website domain name that isn’t already taken. Everyone knows that if businesses want to succeed, it’s vital that they have an online presence. That means social media profiles, blogs, and business listings on the countless online equivalents of the Yellow Pages. Of these, the most important tool is your business’s website. So imagine the frustration of coming up with the perfect name for your business—after all the blood, sweat, tears, and aforementioned mistakes of going through the naming process—only to learn you can’t use said name as your website domain. When I went through this process, it was incredibly frustrating to type in any and every possible variation of my business’s name into an online domain checker, only to find that every single one was already taken. I quickly learned that I’m better off looking for my company’s domain in conjunction with my regular naming process. That’s what my business partners and I did for our current company. We went through so many name ideas, so many domain searches, and so many variations. None of them were available to use as website domains. It got so frustrating that we eventually started making up new words to use. 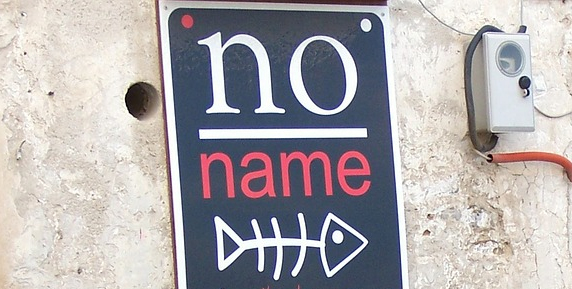 In addition to our domain name, there were other factors to consider when naming our business. We started the process with our own form of market research. We spent hours searching online for companies with similar names to ours. Our goal was to make sure we didn’t infringe on existing brands and that we wouldn’t set ourselves up for confusion and competition with companies that might have a similar name to ours. The last thing we wanted was to ruffle the feathers of a much more established (and financially stable) competitor before our company even got off the ground. My business partners and I were adamant about doing the research and taking the necessary steps because we’d all had experiences where we’d missed something, and it had costed us time, money, or respect at our previous companies. My “uh-oh” moment came at a job when I was involved with the branding for a new project the company planned to launch. At the last minute, a co-worker discovered that the project name and even the logo were shockingly similar to another company in our industry and, as it turned out, their location was practically right down the street from us. We went back and forth on how to proceed, and in the end, we scrapped the concept and started our branding strategy from scratch. A little extra research ahead of time would have saved us a whole lot of time and money. It was a rookie mistake, and not a proud day. Registering my business’s name was the easy part. Actually naming my business has never been quite as easy. Until I was in charge of naming my own company, it didn’t occur to me how many factors must go into the naming process. Nor did I realize all the mistakes I was likely to make in what seemed like a straightforward task. But even with all the mistakes, the best lesson I’ve learned is the importance of a business name I can be proud of. Even when said name ended up being a made-up word that had no dictionary meaning, it had meaning to my business partners and me. That gave us the ability to speak passionately about our business, and communicate our message to anyone who would listen. Whether I made mistakes along the way or got it right the first time, finding the right name for my business meant something I could believe in. It meant having something that would motivate me to work harder and longer and later when I needed to. And most important of all, it meant bringing out the best in my business—and in myself. Robin Karleskint has worked at several new businesses, both as an owner and an employee. Currently she is a project manager at Cosmital Designs, a company she co-owns in Orlando, Florida.